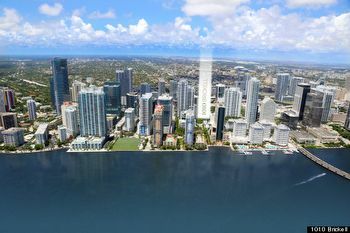 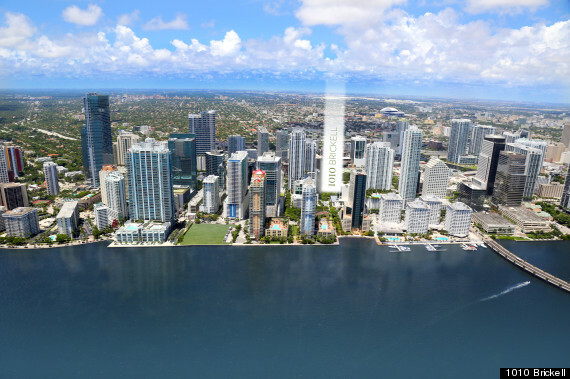 The 1010 Brickell condo in Miami's area of the same name is located directly on Brickell Avenue just a couple of feet away from the waterfront. 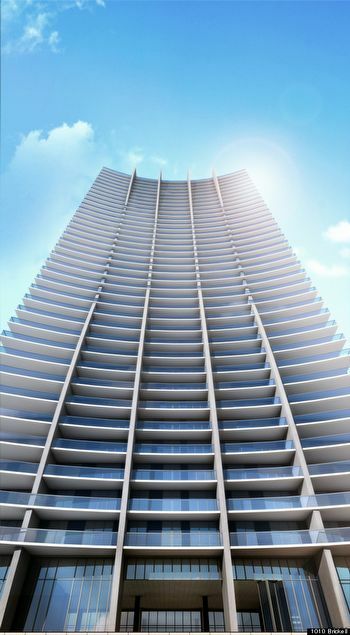 This building by developer Key International and the architectural firm of Sieger-Suarez rises fifty stories into the Miami skyline and has 387 Miami condos for sale. 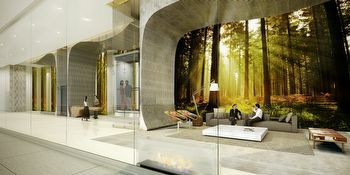 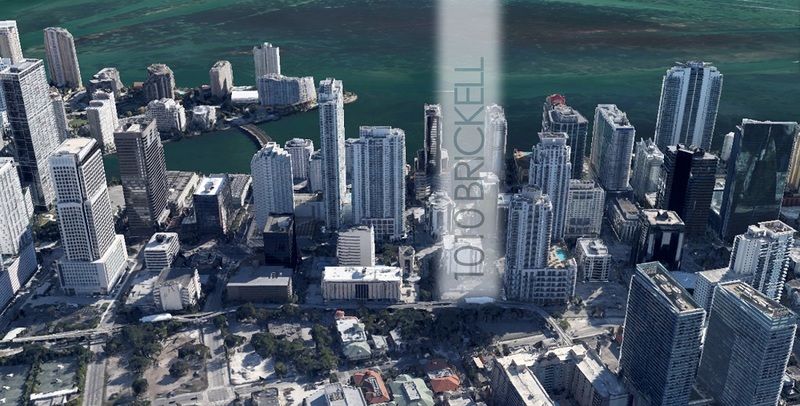 Besides its location, some of the amenities of 1010 Brickell provide a refreshing change of pace from what's commonly found within Brickell condos. 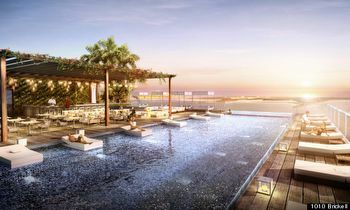 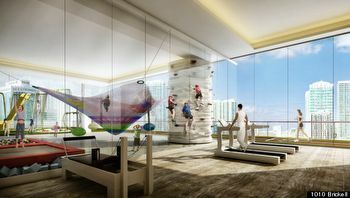 The Club at 1010 Brickell is a two story amenity area that offers something for everyone. 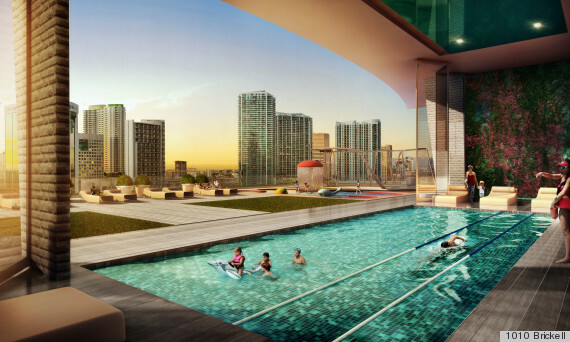 It features an indoor swimming pool that actually boasts retractable glass walls so you can easily step outside, a Turkish steam bath, a running track where you'll enjoy vistas of the cityscape, basketball and even bowling lanes are part of the amenities found within the building. The units of 1010 Brickell have one, two or three bedrooms and are available with 850 to 1,922 square feet of living area. Expansive balconies and private elevators in certain units are some of the residential features.